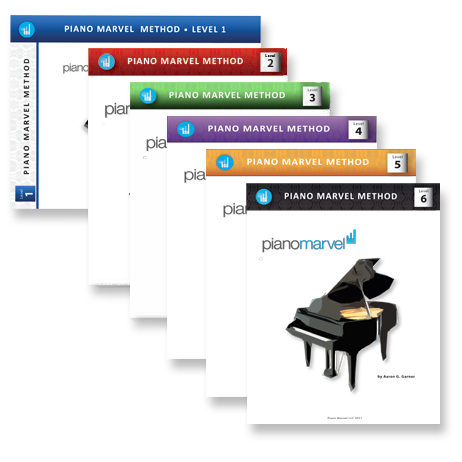 Order the complete Piano Marvel book set and get 20% off! This set includes hundreds of songs and exercises starting at level 1A, and advancing all the way through 6E. This set is perfect for piano instructors to use as a backup when using the Piano Marvel system. It’s also great for practicing on acoustic pianos.